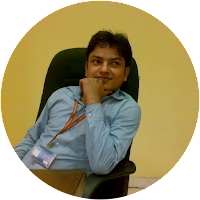 We were discussing the basic concept of kinetic energy correction factor and momentum correction factor, power absorbed in viscous flow and power required to overcome the viscous resistance of journal bearings, in the subject of fluid mechanics, in our recent posts. Now we will go ahead to find out the power required to overcome the viscous resistance of foot- step bearings, in the subject of fluid mechanics, with the help of this post. When we need to rotate a vertical shaft inside a fixed bearing, the viscous oil will be placed between the top of the bearing and bottom surface of the shaft. Following figure shows the foot-step bearing, in which a vertical shaft is rotating. In order to reduce the wear and tear, oil film will be provided between the top of the bearing and bottom surface of the shaft. 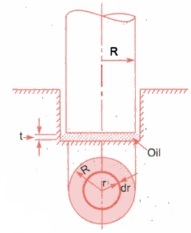 Oil will offer viscous resistance to the shaft. Foot step bearing is also termed as pivot bearing. In case of foot step bearing or pivot bearing, the radius of the surface of the shaft in contact with the oil film will not be constant and therefore we will consider an elementary circular ring of radius r and thickness dr for calculating the viscous resistance of foot-step bearing. 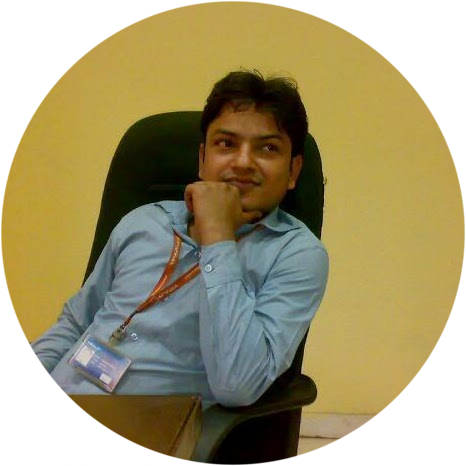 Now we will determine the area of elementary circular ring of radius r and thickness dr and we will have following equation. Torque required overcoming the viscous resistance i.e. 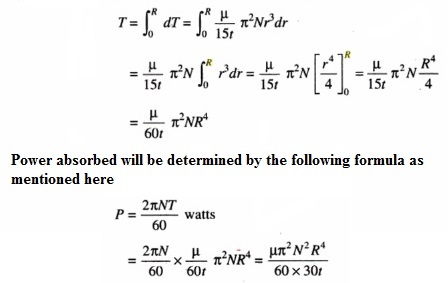 T will be determined by integrating the above equation between the limit 0 to R.
Now we will go ahead to start a new topic in the subject of fluid mechanics i.e. power requirement to overcome the viscous resistance of collar bearing.